I love historical period dramas and am always on the lookout for new films or series generally based on literature masterpieces which would be as blissfully delightful and addictive as Downton Abbey, to name only one of the most popular adaptations of the kind. 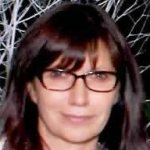 Accordingly, in order not to miss any new production, a few months ago, I found an Instagram account to follow, that completely met my expectations. 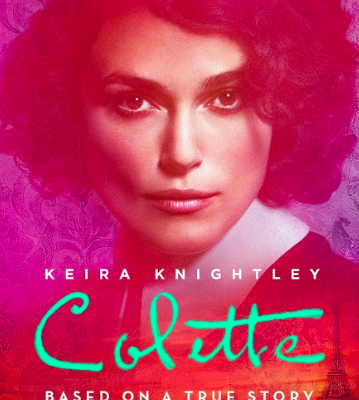 It was not long before I came across a still from the movie ‘Colette’ starring Kiera Knightley, cast to play the French novelist, posted on this very account, simultaneously with its first public screening at 2018 Sundance Film Festival. France is not featuring on the list on the movie’s imdb page yet as the movie ‘Colette’ is now more widely distributed in US theaters. It will only reach European shores at the beginning of 2019. This major author is about to be discovered or rediscovered to enjoy a renewed moment of fame. 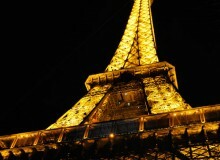 And this is astonishingly happening beyond the French borders. You may say, ‘this is good news’. And I will agree. 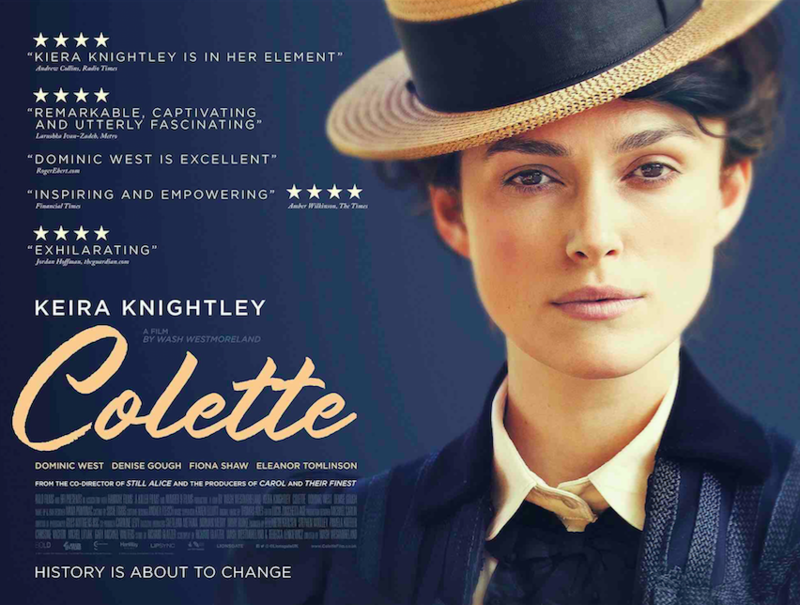 Kiera Knightley is the perfect choice to embody the French writer. She is a lovely popular English actress specialized in period pieces (Pride and Prejudice, Anna Karenina …), and in addition, I suspect her to be a true Francophile, which is a valued add-on for the French audience (she owns a house in the South of France and got married there) and may have had her say when they were filming. It is also a self-evident truth that movies have more happy endings than just the one narrated within its story. Movies convey messages, they open up on new horizons and they trigger emotions. 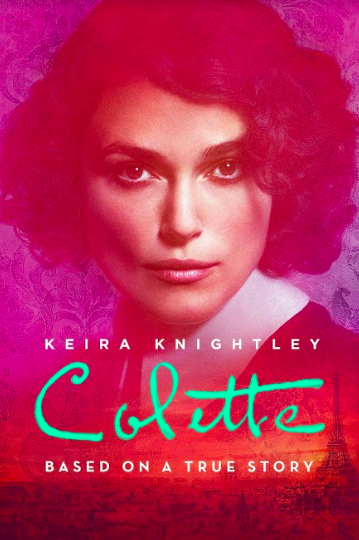 I am certain that the world will soon count more readers of Colette’s novels than before the movie was released. However, why would a female novelist – mainly known in France and not as famous as Simone de Beauvoir abroad, who died in 1954 – be the object of an English director‘s affection? Since there is hardly anything nowadays which remains unanswered especially when a movie is being promoted by its makers, I found a rather satisfactory answer online. 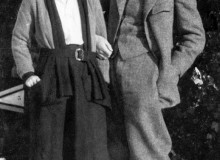 The Colette project started in the late 90s, between director Wash Westmoreland and his partner Richard Glatzer. The latter had a PhD in literature, was an avid reader of Colette’s novels and was fascinated by her personality, which at the time was not regarded as interesting enough by the producers. By 2015, when Julianne Moore was awarded the Oscar for ‘Still Alice’ which Westmoreland had directed, Glatzer was dying of ALS and expressed on his deathbed the wish to make the movie Colette. He passed away before Hollywood gave the green light the following year, a change of mind due to the Oscar and its topic that had become then relevant. Indeed, although the movie is set in pre-WWI, focusing on Colette’s first marriage, it deals with today’s society particular concerns on gender identity and sexuality. 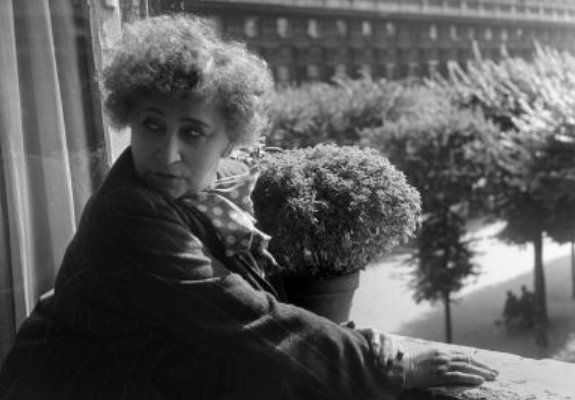 Colette’s lifestyle, feminist struggle to be recognized as a writer and free spirit are inspiring modern topics that can definitely appeal to the younger generations of millennials. But don’t be misled reader. 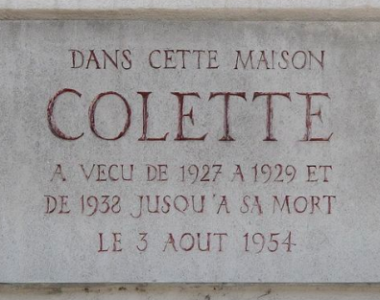 Colette is regarded in France as an untouchable national monument of French literature heritage. She might not be as much read nowadays but people of my baby-boomers’ generation knew her well. We had been told by our parents and our teachers that we should not read her audacious novels too early. This, of course, when we were 14, was seen as a challenge. It was one more reason to steal them from the shelves and devour them in hiding. Such books as ‘Chéri’ or ‘Le Blé en Herbe’ (‘Green Wheat’) were of enormous interest. Thus I am not certain that the French are ready to enthusiastically welcome a creation they might consider as ‘a cultural appropriation’. How can Colette possibly express herself in English in a movie which was not even shot in France but in Hungary and England? Is this the reason why no French release date was announced yet? I am aware I’m quite the devil’s advocate here. The history of cinema is paved with writers’ biopics which were not necessarily created in their birth country. In that respect, the French are not the last to indulge in this exercise either, for proof, I’ll quote the excellent 1979 film ‘Les Soeurs Brontë’ by André Téchiné starring Isabelle Huppert, Isabelle Adjani, and Marie-France Pisier. So let’s relax. 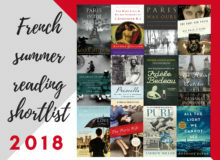 And if the film creates a new or revived literary craze, why not plan a future trip to France and make the most of this opportunity? Colette’s last Paris apartment looking onto the garden in the Palais Royal cannot be visited, but it’s possible to stroll under her 2nd-floor windows along rue de Beaujolais where a commemorative plaque was installed. 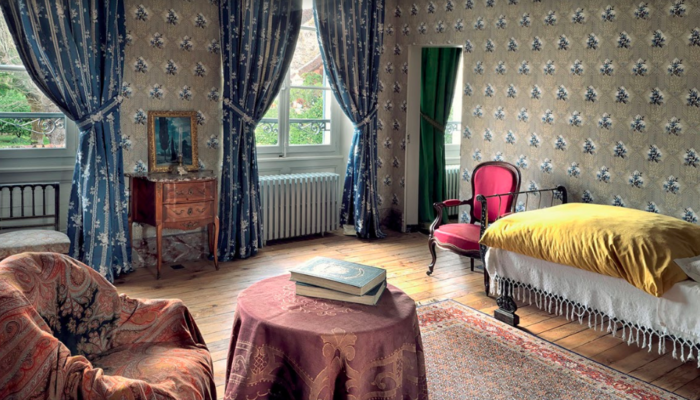 The best way still to immerse oneself into Colette’s world is to visit her birth house, in Saint-Sauveur-en-Puysaye, 170km South of Paris, which is now a museum entirely devoted to her life and works. 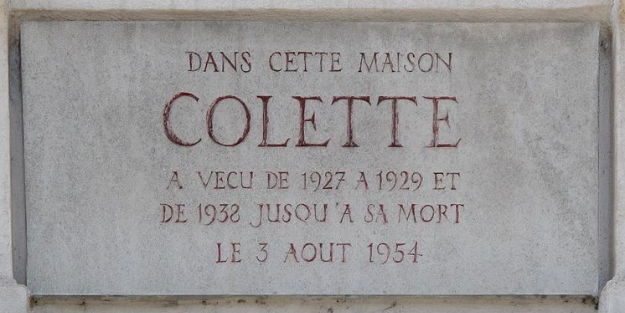 Visits, activities, conferences, workshops are organized jointly with the city hall and the association ‘Les Amis de Colette’, which was founded in 1956, in order to keep her memory and her writing alive. For example, in 2014, for the 60th anniversary of her death, this circle of friends organized several events such as in the Palais Royal Garden where four French actors read extracts of her works. I have no doubt that Colette’s story will appeal and inspire. There are many perhaps, who may not have heard of her otherwise. The movie covers Colette’s marriage to Willy when she was her husband’s ghostwriter and her finally getting recognition. It’s already the case for Kiera Knightly, who will be given the final word here… I’ll be looking forward to seeing the period drama and biopic. But in particular, I’m looking forward to re-reading one her nefarious novels without having to hide! I think this is the story of her becoming herself. I was very empowered by it and very inspired by it. She’s a powerhouse and she’s unapologetic, and you very rarely meet people who are unapologetic about being themselves. I thought that was an extraordinary thing. 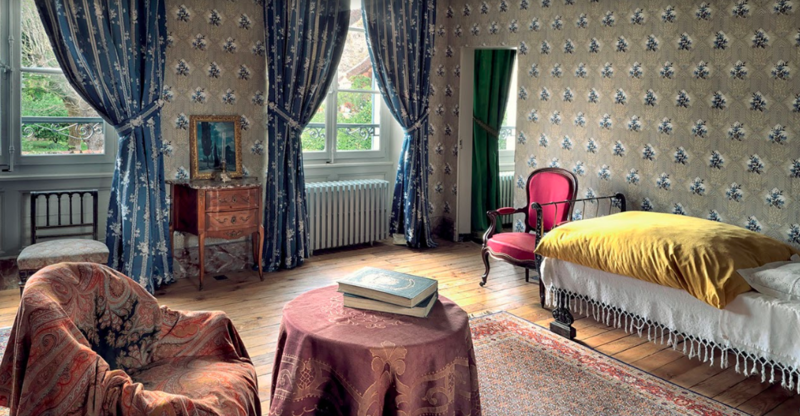 Have you seen, or do you intend to see the movie, Colette? Do you like period drama pieces? Have you seen any other French ones (like ‘La Reine Margot’ for instance or the series ‘Versailles’)? We’d love to hear your views in the comments below. I read that Westmorland and Glazer had already planned to make the movie but Kiera was unavailable to do the movie for a couple of years (had a baby and wanted to be with her baby). Talk was looking to someone else for the role but Glazer on his death bed said he wanted Kiera. The rest is history. My French book club has decided to read one of her books for the next time and then go to see the movie. We’re looking forward to it. Actually Jacqueline if you click on the word ‘answer’ of the Colette Project paragraph, you’ll be redirected to my source ! 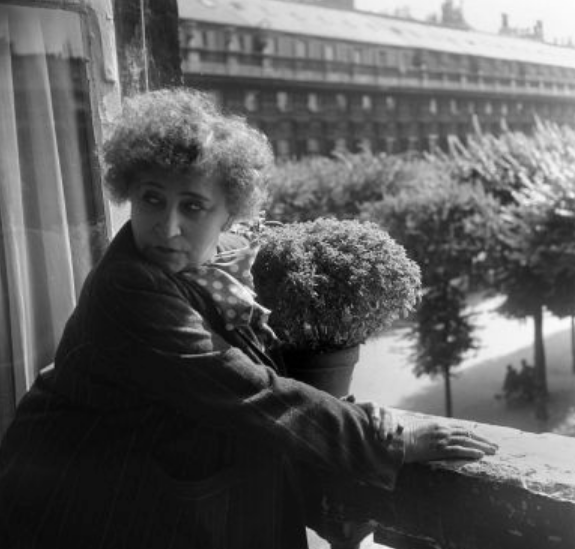 Which Colette novel do you intend to read with your book club ?